As a collection, Years in the Making with Connected Learning seeks to offer lessons on the evolution of Connected Learning through the vantage points of mentors, community collaboration, and interest-driven learning. By no means is this meant to suggest that the examples and resources included in the collection are the gold standard by what it means to create a connected learning environment. 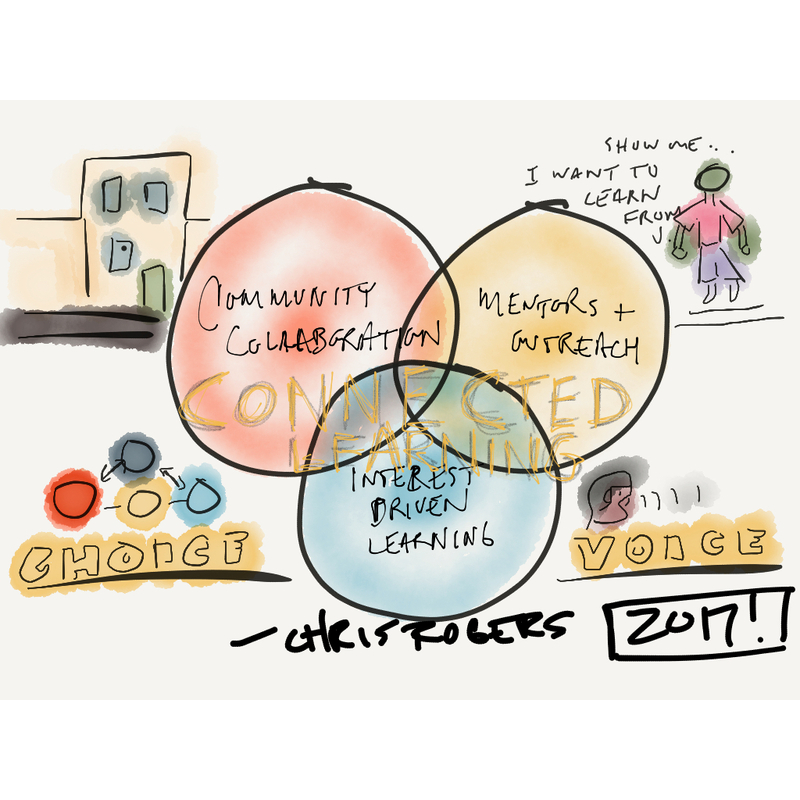 However, each one of the projects involved in this resource does offer a perspective on what it means to work within the tensions of everyday educational practice and the power of community networked learning ecosystems. I invite you all to browse through these resources and check out the stories contained within them. Let’s keep the conversation going! You can reach me here: @justmaybechris. EDITOR’S NOTE: This earnest project began as an evolution from a set of resources and questions that were featured in the application window for the 2017 LRNG Innovators challenge grant. Through an intentional focus on these questions (such as: How can interests be harnessed to blend with more traditional academic disciplines? How can youth interest and classroom learning objectives be partnered with community institutions to leverage mutually beneficial partnerships?) led us to reflect on ways for these resources and questions to continue to live on at our shared networking and practice site, The Current. There are more case studies from LRNG Innovators work at Educator Innovator. Please enjoy this collection as a way into the evolving lessons of implementing Connected Learning in schools.